Richard Horn was last seen at about 01:30 A.M. on July 22, 2014. 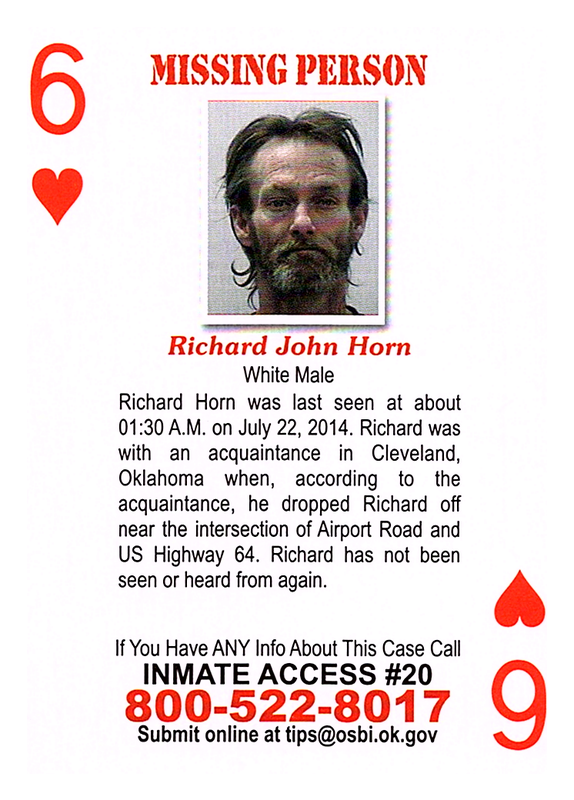 Richard was with an acquaintance in Cleveland, Oklahoma when, according to the acquaintance, he dropped Richard off near the intersection of Airport Road and US Highway 64. Richard has not been seen or heard from again.